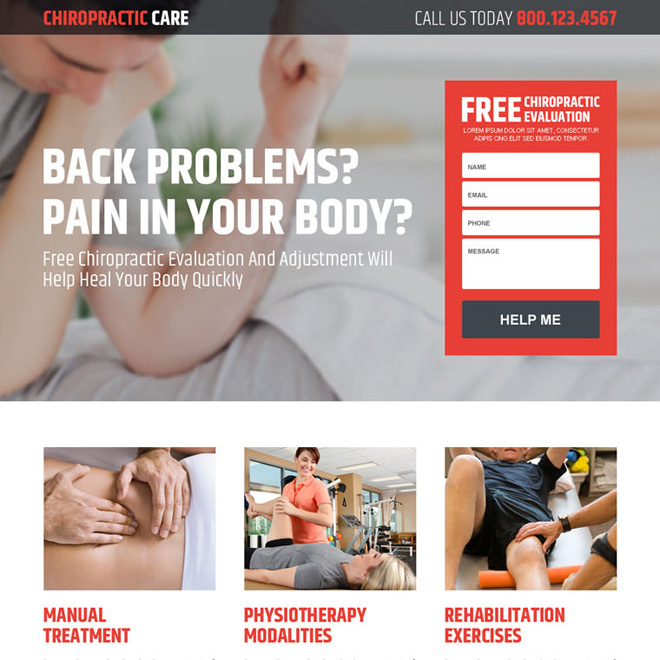 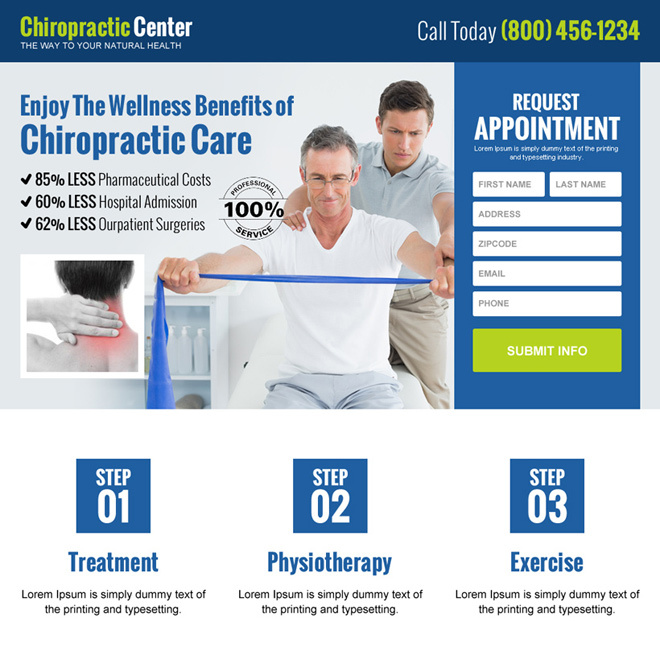 Get a conversion centered lead capture chiropractic landing page design to capture quality leads for your clinic from people suffering from back pain, neck pain, a stiff neck or stiff back etc. 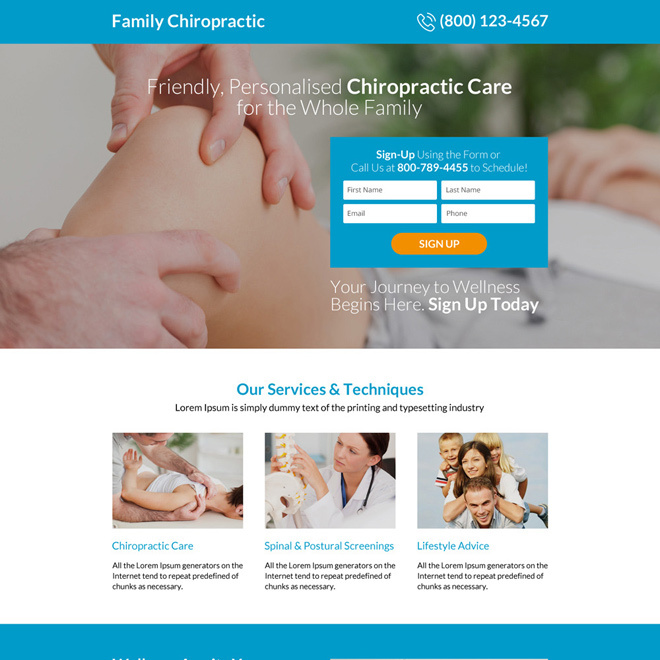 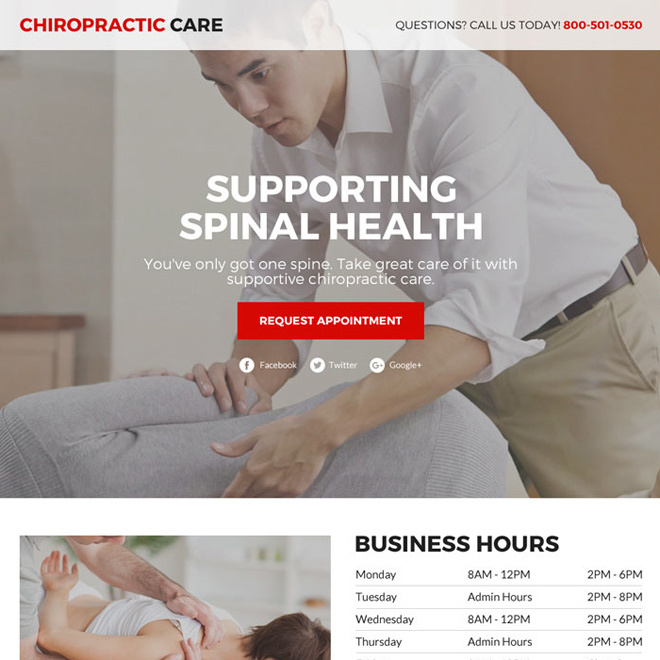 Increase positive leads of your chiropractic treatment service with our beautifully designed high converting chiropractic landing page design. 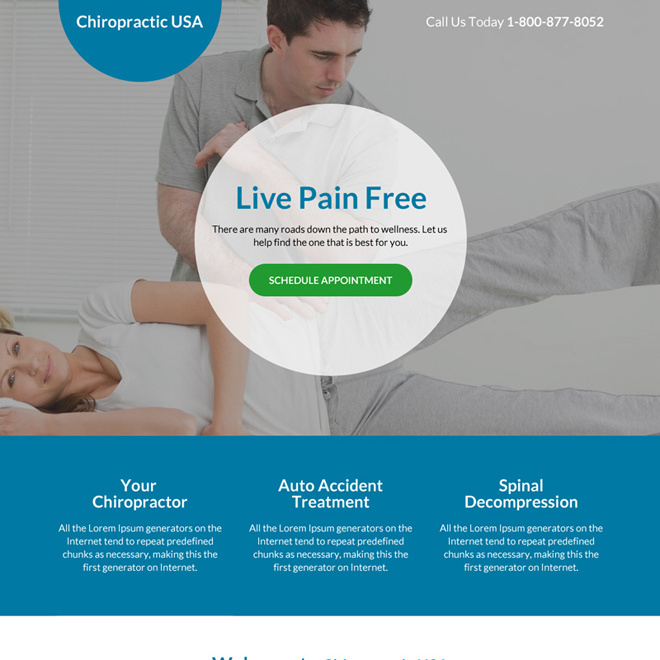 Capture quality and potential leads for your chiropractic treatment center with our responsive chiropractic landing page designs.